Before investing in any kind of tradeable asset, it’s important to understand the underlying factors that go into that particular asset’s overall value. There are a wide variety of different indicators to look at when it comes to the price of GHS, and understanding the economics behind Bitcoin mining is a vital aspect of making the right decision when it comes to investing in GHS. There are plenty of tools you can use to your advantage when it comes to figuring out the long-term value of GHS, and it’s important to factor in as many variables as possible when estimating whether or not GHS is a solid investment for your portfolio. The first thing you should do before purchasing GHS on the CEX.IO platform is estimate your mining profits based on the amount of GHS you intend to purchase. You can either use the CEX.IO calculator, or one of the external ones, such as mining-profit.com. Be sure to fill in correct values to get the most precise results. At first glance, purchasing GHS actually seems like a bad deal. For example, purchasing 1 GHS right now would actually lead to a loss of a little over $1.50 over the course of six months. The main thing that you need to remember when purchasing GHS is that you can always sell it back when you no longer wish to mine Bitcoins. This means the expenditure of your initial GHS investment will actually be lower once everything is said and done. In most other situations, you don’t get the opportunity to sell back your hashing power when you no longer feel like mining Bitcoins. 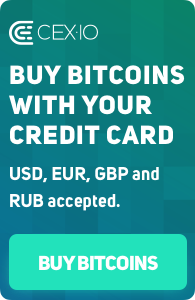 You could purchase 1 GHS for around 0.006832 BTC right now, and you would eventually get to sell it back at the market price when you’re done mining. This means the initial investment would be 0.006832 BTC minus your GHS sell price rather than just that original 0.006832 BTC purchase of GHS. There are several key factors, which you have to take into account when looking at the GHS price on CEX.IO. Firstly, our platform believes in the fair market price for the mining power, which means that the price of GHS depends on the correlation between supply and demand. The more people buy the above-mentioned commodity, the more valuable it becomes, and vice versa. Secondly, GHS price always depends on the Bitcoin network difficulty, especially on its dynamics. Each time the difficulty of mining Bitcoins increases, the GHS value logically tends to decrease. It’s also important to note that GHS can basically be used as a hedge against a drop in the value of the Bitcoin. This is due to the fact that hashing power tends to become more valuable in terms of Bitcoins as the price of a single Bitcoin declines. Miners tend to leave the Bitcoin network as the price goes down because it becomes less profitable for them to mine Bitcoins. When miners leave the network, 1 GHS actually becomes more valuable in terms of Bitcoins because there is a lower amount of competing hashing power from other computers. This means that GHS can actually be used as a way to speculate on a future rise in the value of Bitcoins without actually using fiat currency. Purchasing shares of GHS with Bitcoins will essentially lead to a similar result as buying Bitcoins with fiat currency during a price dip. At the end of the day, purchasing GHS makes sense for anyone who is bullish on the long-term value of Bitcoins as a whole. If you’re someone who is interested in earning as many Bitcoins as possible, then GHS would be a solid option. Anyone who is long on the price of the Bitcoin should be looking at ways to accumulate as many Bitcoins as possible rather than dollar denominated profits.